For customers to effectively and efficiently realize the promised benefits of DCIM, their solution needs to have holistic, real-time visibility across all IT and facility resources. It should also be designed on a simple modular, scalable platform that allows custom configurations and ability to scale from small to very large data centers. 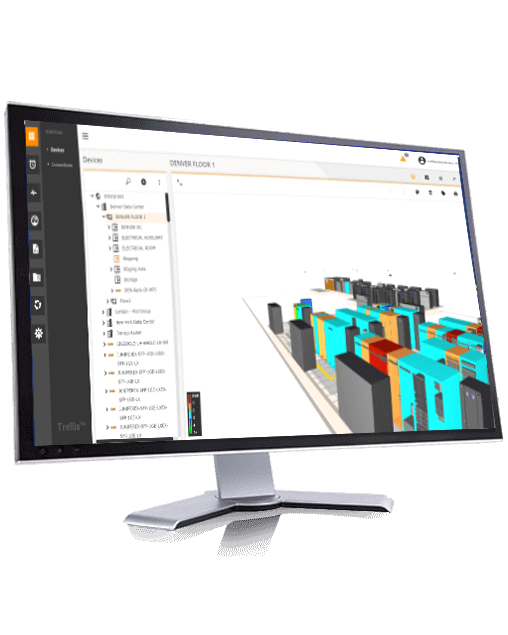 Vertiv is addressing the challenges of the data center with the Trellis™ dynamic infrastructure optimization platform. Unlike any other DCIM solution, the Trellis™ platform delivers unprecedented, real-time visibility into critical infrastructures and the impact of changes. The Trellis™ platform monitors all IT and facilities resources in the data center and automates management and control to help your IT and facilities organizations realize their objectives. With this unified and complete solution, you gain the power to visualize the real situation in your data center, make the right decision and take action with confidence. Flexible, Extensible Industry-Standard Platform – Single “real-time” platform allows for data integration, filtering and processing (CEP) with temporality. Enterprise Security – Integrated view into IT and facilities assets with enterprise class security and fine-grained authorization. Time-to-Market – Multi-tenant, real-time architecture getting enterprise service providers to market quicker. Minimize the risk of change by easily recognizing dependencies. Increase accuracy with a real-time inventory of assets. Automatically monitor and respond to events to ensure availability. Increase security with complete control over access to every asset in the data center. Consolidate data center management with a single source of truth for IT and facilities. Gain deep insight into capacity to maximize usage and defer capital expense. Model the effect of change to enhance availability and performance. Improve operating margins with accurate planning and execution. For more in-depth product information, see the Trellis brochure.